This statistic shows the penetration of electronic products and devices in households in Germany in 2014. During the survey period it was found that 99 percent of German respondents stated the presence of a working laptop or PC in their household. 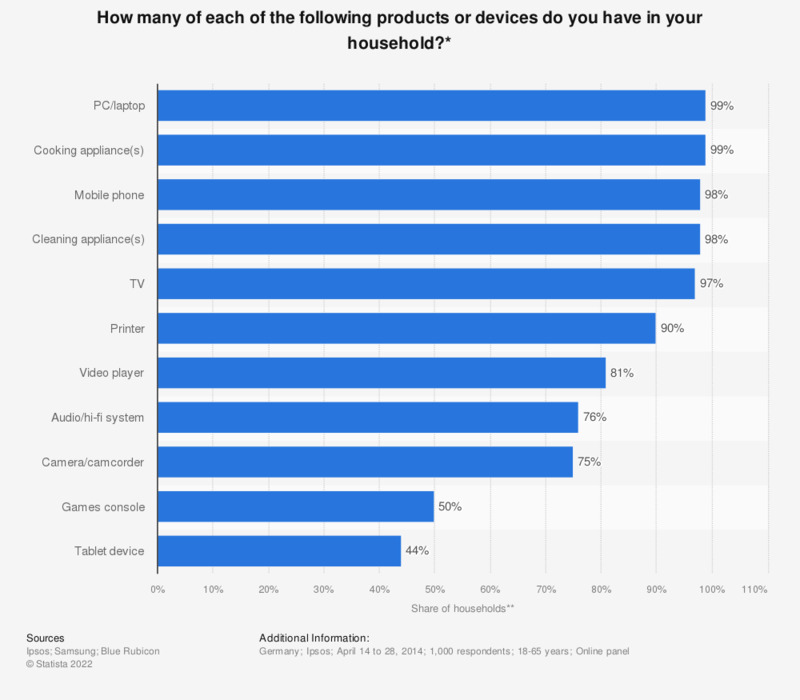 * Original survey question: "How many of each of the following products or devices, in working order, do you have in your household? Please do not include any products or devices supplied by an employer, unless you also use them for personal use."